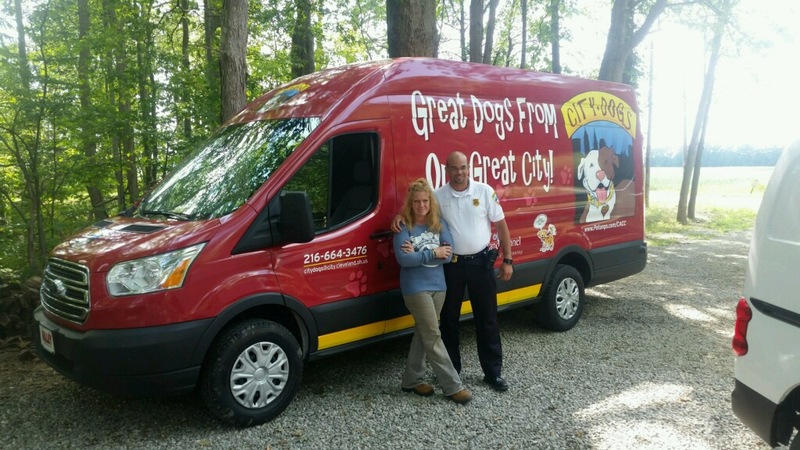 Cleveland Animal Care and Control will introduce the Division’s latest adoption tool during the 43rd Annual Labor Day Parade & Festival at Luke Easter Park on Monday, September 7. The Division will introduce a new, colorful 22 ft long and 10 ft. high Ford Transit van for the purpose of transporting CITY DOGS to off-site events, community festivals, and other venues to meet with potential adopters. The adoption van features artwork created by nationally syndicated cartoonist Jenny Campbell and was made possible by a generous grant from the Kenneth A. Scott Charitable Trust, a KeyBank Trust. “We’ve needed this for a long time,” said Chief Animal Control Officer Ed Jamison. “The ability to go out and meet with potential adopters greatly increases the likelihood that one or more of these dogs will find a loving home.” According to Jamison, 224 CITY DOGS have been adopted so far this year; however, on any given day, 50 to 60 others wait at the kennel for their chance at a happy ending. When fully fitted, the custom interior of the van will include spacious accommodations for 12 dogs as well as a desk area and internet access for completing adoptions on the road. About the CITY DOGS Cleveland program. The CITY DOGS program was launched by Cleveland Animal Care and Control (CACC) earlier this year to showcase the great dogs that end up in the City Kennel through no fault of their own. All CITY DOGS have been evaluated by CACC staff, vaccinated, spayed or neutered, licensed, and microchipped and all have earned the seal of approval of loving CITY DOGS volunteers.